This residence was constructed in 1872 for F.W. Colcleugh, one of Selkirk's pioneer residents and one of its most prominent civic-minded citizens. Mr. Colcleugh, a pharmacist, enjoyed many distinctions, including being the first Fire Chief and an early mayor of Selkirk. He also served several terms as a member of the Manitoba Legislature. 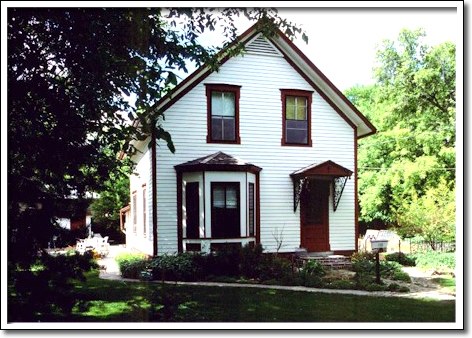 Later owners of the property included Dr. Cruikshank, a popular veterinarian serving the NWMP post that was at one time situated in nearby Lower Fort Garry. One of Selkirk's oldest surviving buildings, the former Colcleugh House is an excellent (and remarkably well-preserved) example of the kind of houses favoured during the 1870s and 1880s. It is a storey and a half and built on a side-hall plan. The house is constructed using "balloon" frame construction, a distinctive technique of the late nineteenth century that featured the use of long dimensioned lumber that stretched the height of the house.